Ditch the Vicks Vapor Rub and use this instead. It’s wintertime. And with wintertime comes colds. And with colds comes head and nose congestion. No fun! If you are like me (or I should say were like me) when I get congested I reach for the Vicks vapor rub. A good smear on the chest and a thick rub onto the bottom of the feet and – next thing you know – relief! But, did you know petroleum is bad for you? Petroleum is a derivative of oil refining and can be carcinogenic in some cases. But, I’ve found a wonderful natural, organic respiratory salve that is great for clearing up nasal passages and is made with all natural ingredients and essential oils. This recipe is straight from the world renowned Jade Shutes with The School for Aromatic Studies. 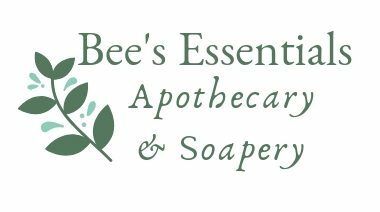 I use organic organic beeswax and organic jojoba oil in this recipe. Previous postWhich Diffuser Works Best? Next postCreating a successful bedtime routine for more restful sleep.